To be sure, Special Counsel Robert Mueller appears to have Roger Stone dead to rights. If he goes forward with a full prosecution of Trump’s on-again, off-again buddy/adviser, we assume he can get pretty much any sentence he wants. The indictment, however, is extraordinary in that once again we see that Mueller has absolutely nothing of substance when it comes to the crime of collusion (well, such that it is). Instead, this is just one more example of his investigation (and Congress’s) actually creating criminals out of thin air. 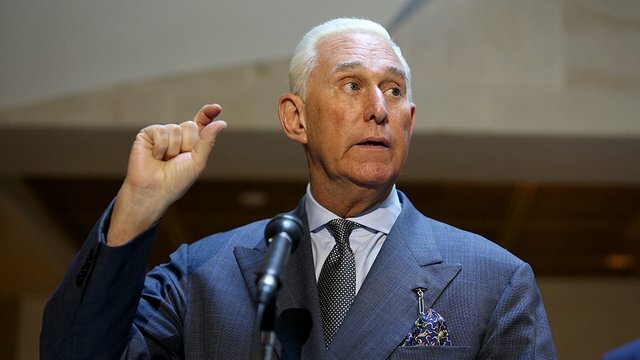 That’s not to say that lying to Congress and witness tampering are meaningless crimes unworthy of prosecution, but it is to remind everyone that Roger Stone was not a criminal until long after this investigation started. If anything, the indictment proves – more or less – that Stone and the Trump campaign absolutely did NOT have a backchannel communication scheme with the Russians. The entire indictment rests upon the fact that Stone was doing anything and everything he could to communicate with Julian Assange of Wikileaks. Why would he go through all that trouble – why would he expose himself in this way? – if he could just call up his good buddy Fancy Bear or Guccifer or Vladimir Putin himself? It makes no sense whatsoever, and it shows you that while Trump may have been trying to make the most of an astounding event – the hacking of DNC emails – no one in his orbit was actually involved with the crime. Indeed, the crimes only started once Stone started lying to Congress about the communication he had with Randy Credico, Assange, and Steve Bannon. The crimes only started when he started badgering witnesses and advising them to pull a “Frank Pentageli” in front of lawmakers. We’re not sure what the hell Stone was thinking when he embarked on this ludicrous mission of obstruction and witness tampering, but they were not the wisest decisions of his career. If he ends up serving some prison time, it was his own bad judgement that landed him behind bars. Weird, weird stuff, but Democrats had better get ready to be mighty disappointed.